A while ago, I produced an undated diary insert for the Passport Traveler's Notebook. Today I am making a version available in full size. I've redesigned it a little to make use of the more generous space available. 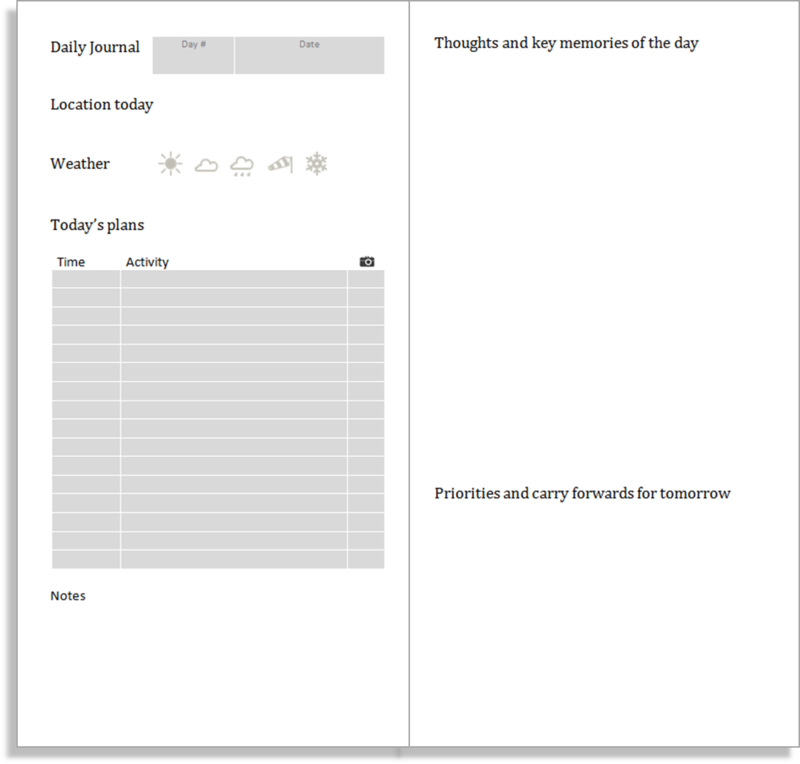 This is designed to work as a Midori Traveler's Notebook insert but will work equally well as a stand-alone booklet. The standard booklet contains 31 undated weeks. You can download the file and print it for yourself. The file prints double-sided on A4 paper in booklet mode. 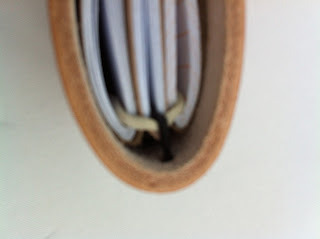 You can then bind the sheets into a cover and trim. This post will show you how. 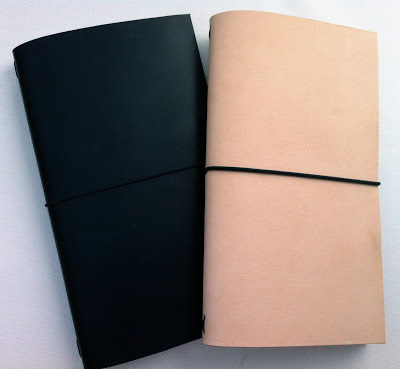 When I made my own Midori-style Traveler's Notebooks, I began with the classic size. Midori also makes a passport-sized cover, though, and I was keen to make one of these too. The method is exactly the same as for the full-size model, but the starting dimensions of your leather piece need to be 132mm x 200mm. So why not make a Traveler's Notebook to fit this size? That's what I did, starting with a piece of leather 150mm x 210mm. 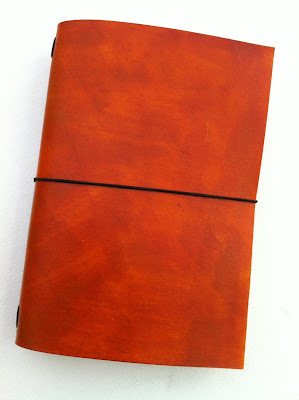 I used plain, vegetable-tanned leather which I dyed myself. These are so easy to make and so nice to use. Why not have a go? Anyone who owns a Midori Traveler's Notebook should visit Midori's Traveler's Notebook site. There you can see how users have customised their notebooks and see what new products are available or on the way. For me, the best part of the site is the Helpful Downloads page. Here you can download PDFs to cut out and stick in your notebook. 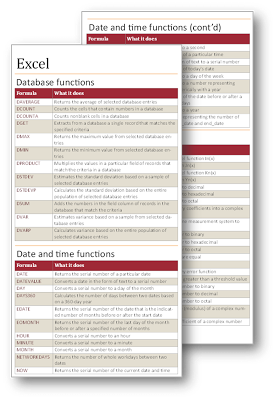 There are calendars (but sadly not 2013 ones), maps and other specialist pages. 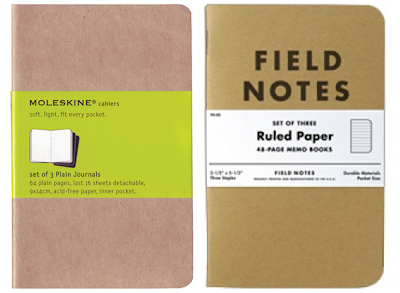 The Moleskine site has a similar facility, although you have to register to access it. It made me think about what information I'd like to carry around with me. Sad geek that I am, my first thought was some reference information on Microsoft Excel functions. 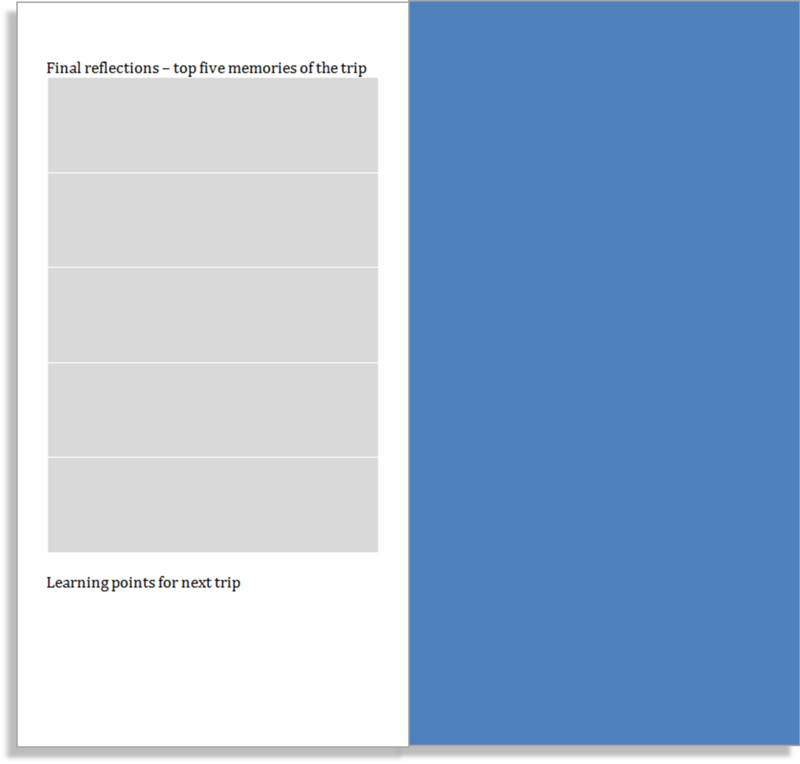 So here is my first cut-out for you to download and print for your Midori TN. In all, there are 12 of these pages which collectively detail the full set of Excel functions included in Excel 2003, since when a few new ones have been added but none removed. I'm intending to make a range of these cut-out inserts, but please let me know in the comments if there is anything you would like to see included. One of my more popular Filofax insert designs was the Travel Journal, which I produced in Filofax Personal Size and Filofax Pocket size. The Midori Traveler's Notebook is, of course, a travel journal in its own right, but some users might like to use an insert with a little structure to help them plan and fully enjoy a trip. 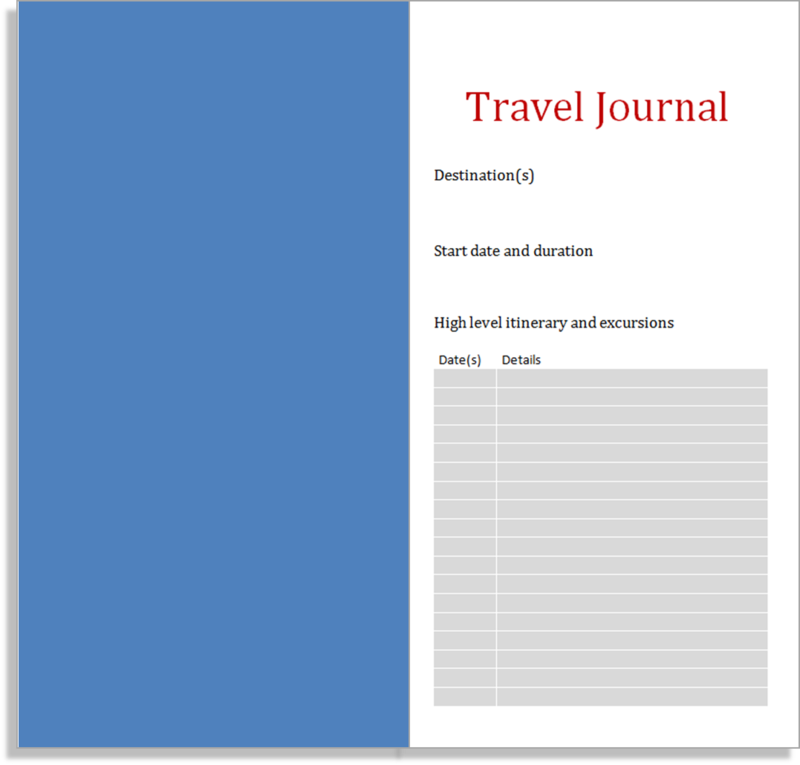 So I have produced a Travel Journal insert you can download and print. Here is what you'll see when you open it up. Then follows a two-page spread for each day of your trip. The standard file contains 48 notebook pages, which gives you 23 of these day-spreads. You can cut and paste to increase this if you want, of just cut to reduce it. Download the file here to get started. Recently, I made my own Midori-style Traveler's Notebook. Today I made another, this time from undyed vegetable-tanned leather. A reader requested this. 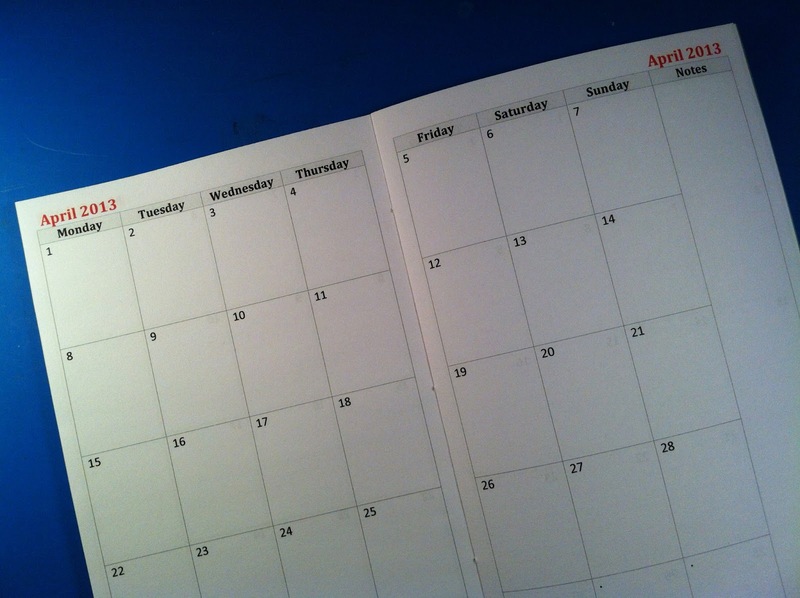 It is an insert containing a month-to-view diary layout that you can print out and make at home. You can download the 2013 set and print it for yourself. The file prints double-sided on A4 paper in booklet mode. You can then bind the sheets into a cover and trim. This post will show you how. 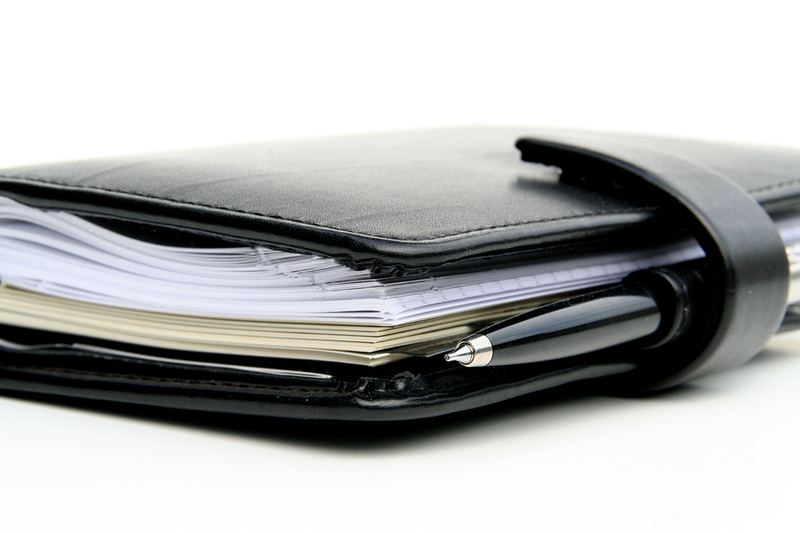 Which size of Filofax is best? This is a frequent question with no single correct answer. Even if we put aside the choice of binder colour and model there are still fundamental choices to be made. The largest size is the A4 Filofax. 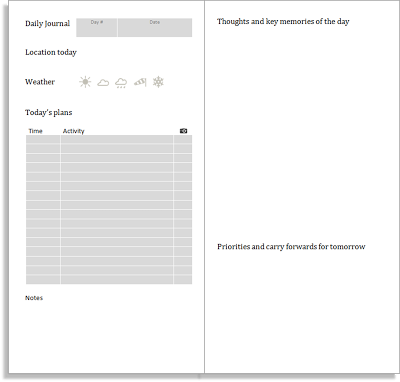 If you are planning to add your own content to your organiser this is the easiest size to accommodate you. At least in Europe, A4 paper is ubiquitous. It is almost certainly what emerges from your (European) printer when you click on the PRINT button. Unlike all the other Filofax binders the A4 features standard rings and spacing. There are 4 rings and the configuration is exactly the same as a standard 4 ring binder you can buy in a stationery shop. That shop will also be able to sell you an inexpensive hole punch that is compatible with your Filofax. The A4 binders are heavy and big. They work best when confined to a desk. Carrying one around with you everywhere is impractical, so these work best for people with sedentary jobs, or those who don’t get out much. For the rest of us, one of the smaller sizes is likely to be more convenient. 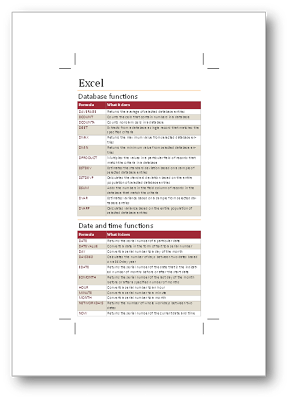 The A5 Filofax is one you see more frequently in business use than in social settings. The pages are half A4 size and in the same familiar proportion. 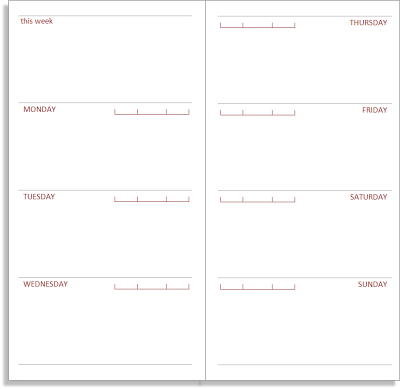 A5 paper gives quite a generous space in most diary layouts, so take this into account. 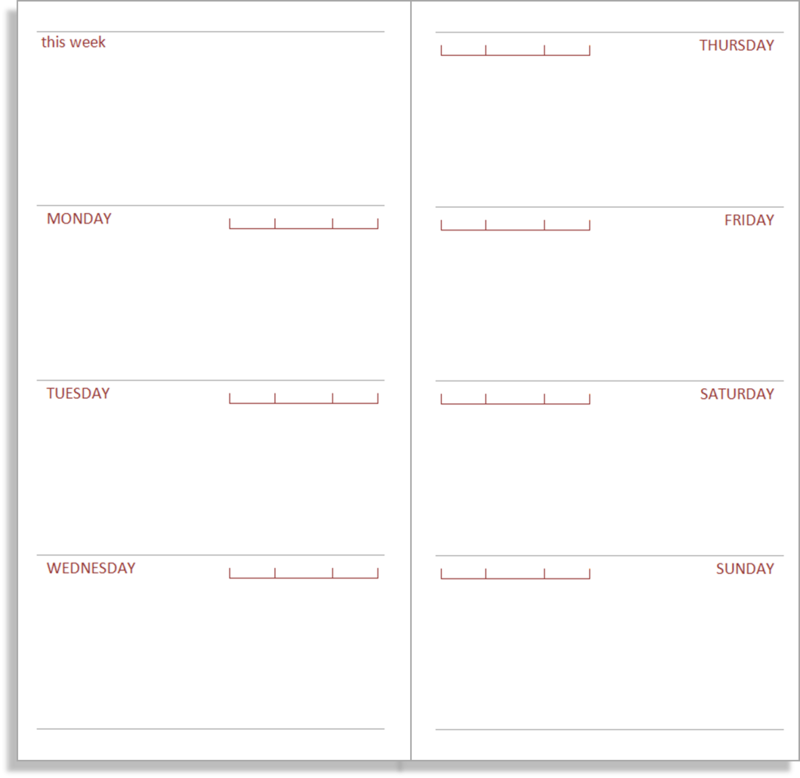 A week on 2 pages layout might be too cramped for you in Personal size, but ideal in A5. Overall this would save you considerable thickness in your diary section. A5 is fairly easy to use if you want to print your own pages, but the 6 ring system means you’ll have to buy a special hole punch. A5s can be a little heavy, too. This size is not one you can practically carry everywhere in your hand, but kept in a bag or briefcase it is ideal. 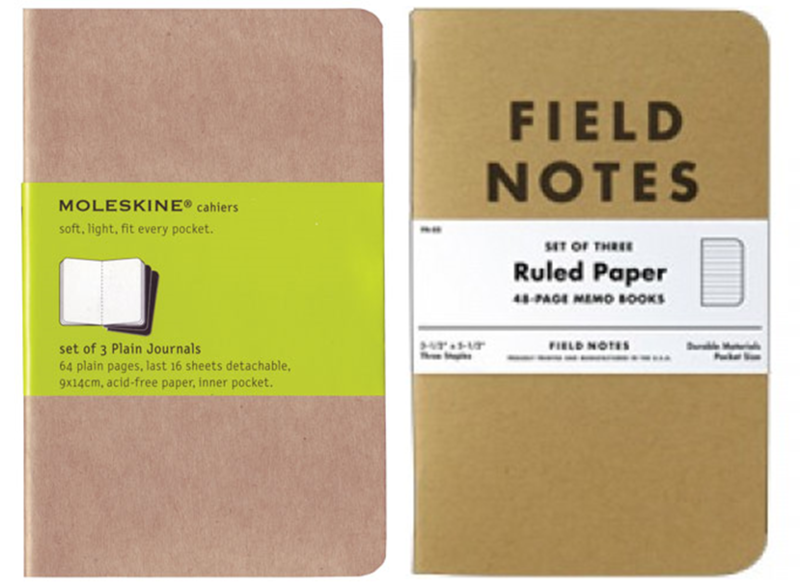 If you are going to be writing more than just the occasional note this is a far more practical choice than the smaller sizes. Writing pages of meeting notes in the Personal size is much harder work than in the A5. The next size down is the Personal Filofax. This was the only size at one time. 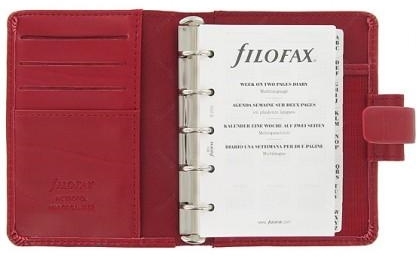 If you owned a Filofax organiser it was one of these. 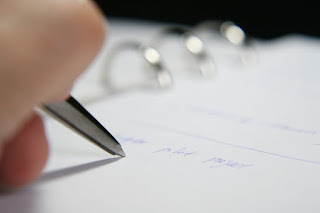 Personal pages are a few millimetres wider than a credit card and about the height of three credit cards. If you’re going to go with Personal size you have more of a ring size choice than with other sizes. The biggest rings in Personal size are 30mm. You can find these on the Cuban Zip, for example, and they will accommodate more pages than most A5s, albeit smaller ones. For me, the Personal size is the one you carry around in your hand. If you want to carry one around in your inside jacket pocket you can choose from the Slimline range and enjoy rings as small as 11mm, which are not going to be suitable for a page per day diary. But these binders are barely bigger than a full-length wallet, so are discreet and convenient if you always wear a jacket that will accommodate one. In between is the Compact, with medium-sized rings. Not as thick as a regular Personal, but accommodating more pages than the Slimline, these are fairly new. I think they will prove popular. 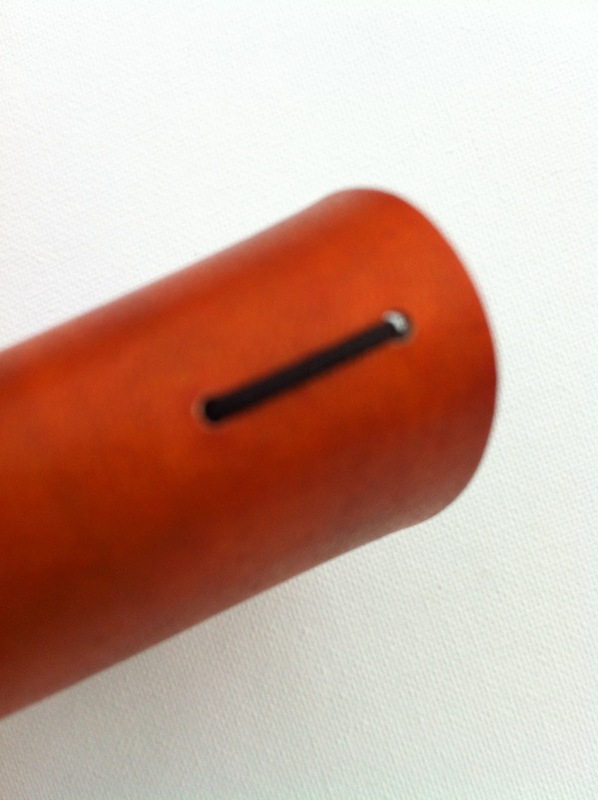 All Personals use a 6 ring layout so you’ll need a special hole punch if you make your own pages. Sadly, the spacings are not the same as in the A5, so it will need a second punch if you have both sizes. 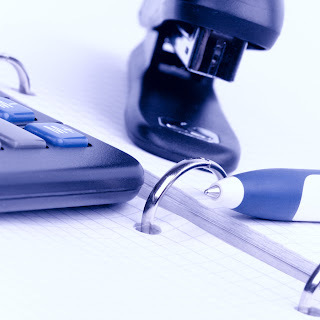 Another issue is that if you want to make your own pages you’ll find it hard to get paper in the right size except from Filofax, so you’ll probably want to print onto bigger, less expensive paper like A4 which you’ll then have to chop down. The next size down is the Pocket Filofax, which is something of a misnomer – unless you have very commodious pockets. The page size is close to that in a Moleskine pocket notebook. The attraction of this size is its lightness and greater portability. Most of them can carry a good number of pages. Most are designed to double-up as a wallet as well. Six rings again, but with a different spacing once more. Finally, we come to the Mini Filofax. I’m sure that the Mini is ideal for some people, but they are not people I know. 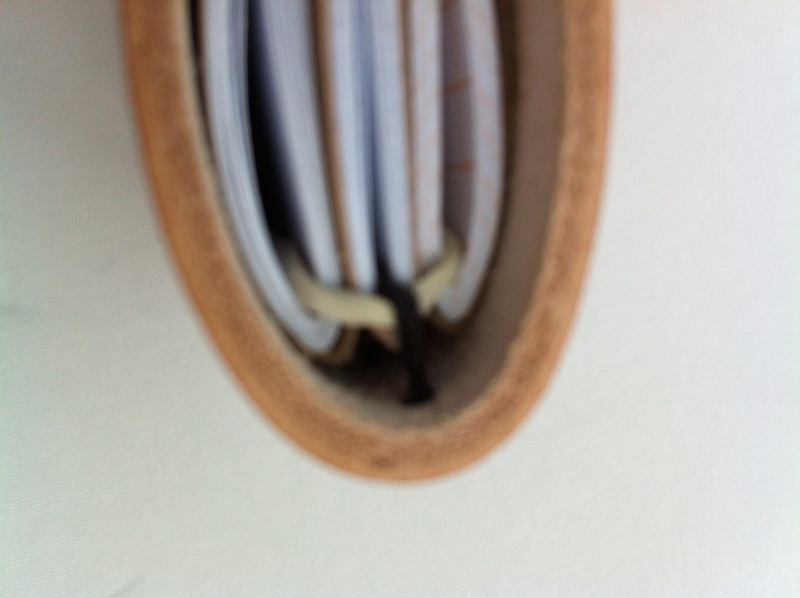 All Filofax binders are wider and taller than the pages they contain, of course. For instance, Personal binders are about the same size as an A5 page. This extra size is for the rings, the pen loops and so on. In requiring the binder to be so small – and for those for whom this has any meaning we’re talking audio cassette-sized here – the page size has to be titchy to the point of unusability. There is only room enough for five rings and once you have punched the holes there is not much paper left. It would make a great stamp album if you are happy for each page only to bear a single stamp. So there we are. Lots of choice. How do you decide which is right for you? I think it comes down to the sort of life you live. If you do all your planning sitting at a desk, you will appreciate the space and convenience of the A4. If you want to take your planner home at weekends you’ll probably be glad you chose an A5. If you’re going to be using it more than occasionally on the go or in a social environment, Personal or Pocket might be your best bet for their easy portability. You need the right compromise between having paper big enough to organise your life on and a binder that is small enough and light enough to carry around everywhere with you. On the other hand, if you have tiny pockets, minuscule writing or a very small stamp collection there’s a Mini with your name on it.